Khloe Kardashian showed off a pic of her mom, Kris Jenner, all decked out for Halloween in her Wonder Woman costume. No doubt Khloe might think of her mom as a wonder woman, after Kris Jenner reportedly saved the deal that got Khloe the gig of ‘X-Factor’ host along with Mario Lopez. 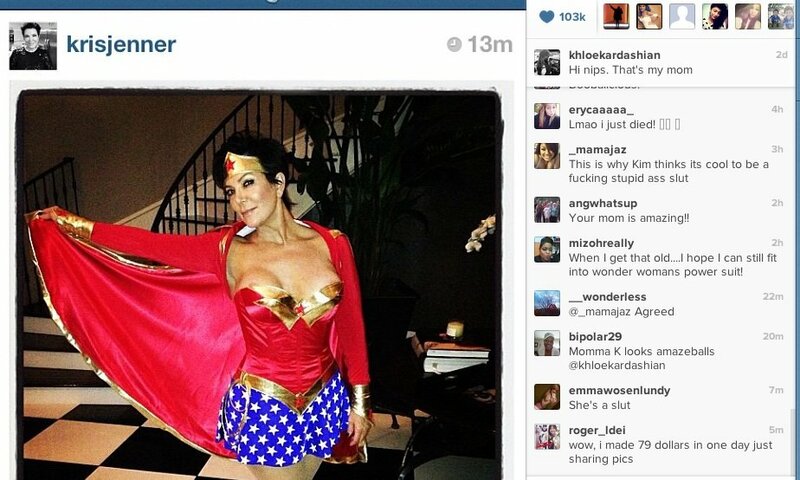 It’s important to note here that Kris Jenner can rightfully rock the Wonder Woman outfit, and not look bad doing it. Lindsay Lohan Changing Her Vote Back to Obama?